Bhubaneswar:2/8/18;(ONT Bureau)Film Journalist Foroum of Odisha going to screened 1968 released odia Film STREE in the memory of late actress Parbati Ghose who had essayed in a lead role as Anuradha inthis move.this film scheduled to be screened on 11th August,2018 at 6.30 PM at Utkal rangamanch(In the premises of Guru kelu charan research centre,Jayadev vihar).here the back ground of the film STREE is given,It is worthy to note that this film also won national award. 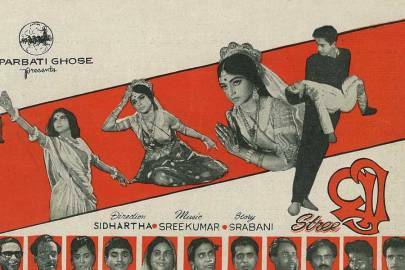 1968 saw a new production “Stree” under the banner Sarathi Films. Story was by Parbati Ghose under the pen name Srabani. This was the second directorial venture of the trio of SIDDHARTH namely Parbati Ghose, Gour Prasad and Thakur Bhai. Gour Parbati scored a hat trick of National Awards with “Stree”!!! 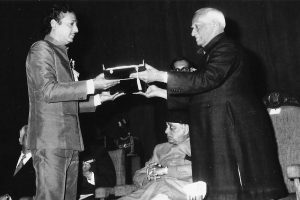 The then President of India Sri.V.V.Giri presented this award. The premiere was held in Rourkela and was attended by the likes of then CM Rajendra Narayan Singh Deo and Industry Minister Harihar Patel. The Ghose’s ongoing tradition of introducing new faces and talents continued with this movie. 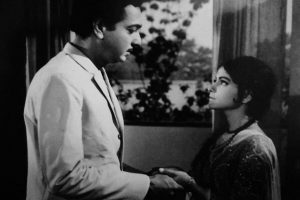 Jadunath Routray, Shyamalendu Bhattacharya and Sunita were introduced in major roles. Guru Raghu Datta debuted as dance director. Dancers like Kukumina, Ratna Ray and Alok Bahidar debuted on screen. Sujata Anand was introduced and later became a famous actress. Ruma Guha Thakurta, famous Bengali actress/singer, made a guest appearance. Swarup Naik shot to fame with his portrayal of Bijuli. He penned his first lyrics for a song which was picturised on his character and which made him very popular. Their son Romi had the pivotal role of Nayan which earned him a nomination for a National Award in the Best Child Artiste category. With “Stree”, Gour Prasad significantly contributed to the Odiya Film Industry. He paved the path for future producers to get subsidy on loans through OFDC. With support of the then government he was instrumental in getting Odiya cinema recognized as an Industry.